Welcome to Lake of the Arbuckles! The Lake of the Arbuckles is a reservoir in south-central Oklahoma. 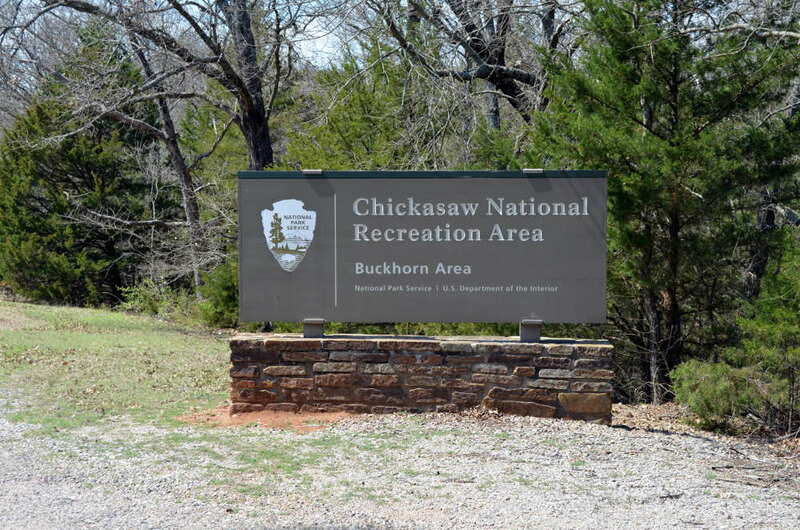 Its 2,350 surface acres of crystal blue water form the western border of the Chickasaw National Recreation Area. It is one of the best fishing lakes in Oklahoma with large populations of catfish, largemouth bass, white bass, crappie, bluegill, sunfish and perch. Fishing is year-round, and it is the best place to be in all of the Midwest for winter bass. Scuba divers love the clear water with six- to eight-foot visibility, but the visibility also attracts anglers who like to watch the fish follow along as they troll. With secluded coves along 36 miles of shoreline, the Ozark tradition of trotline fishing is still popular. Long before graphite rods and depth finders, an angler could bring in impressive catches by stringing a line between two trees on opposite sides of the cove with up to 100 hooks dangling from the line. You can also fish from shore or shaded handicap-accessible barges at the Guy Sandy, Buckhorn, and The Point campgrounds. An Oklahoma fishing license is required and can be purchased at the Chickasaw Visitor Center. Please see Oklahoma Fishing Regulations regarding size and daily limits. The Lake of the Arbuckles is a favorite spot for all boaters and water activities. Sure, there are plenty of fishing boats, but you will also see powerboats, sailboats, kayaks, canoes, and rafts and visitors enjoying water skiing, wake boarding, tubing and swimming. Need to rent a watercraft? Go to Shady Oaks RV Park for a pontoon, canoe, kayak or paddleboard. Boat ramps and docks are available at the Buckhorn, the Point, and Guy Sandy campgrounds. Permits are required for boats and personal watercraft. Annual or day-use permits can be purchased from machines at those launching areas. Be sure to acquaint yourself with the Watercraft Regulations and Personal Watercraft Regulations . Adjacent to the lake are 3,400 acres of land, the Chickasaw National Recreation Area, for activities such as sightseeing, photography, hiking, biking, horseback riding, camping, picnicking, hunting, wildlife and bird watching, rock climbing and natural and human history study. 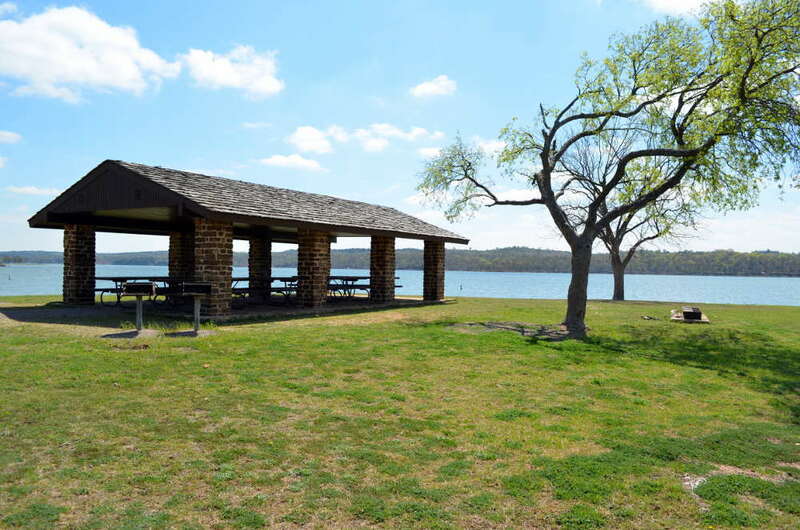 transferred responsibility of the lake to the National Park Service so that the Arbuckle Recreation Area could be established. In 1976, the Arbuckle Recreation Area was combined with the Platt National Park to make the Chickasaw National Recreation Area. 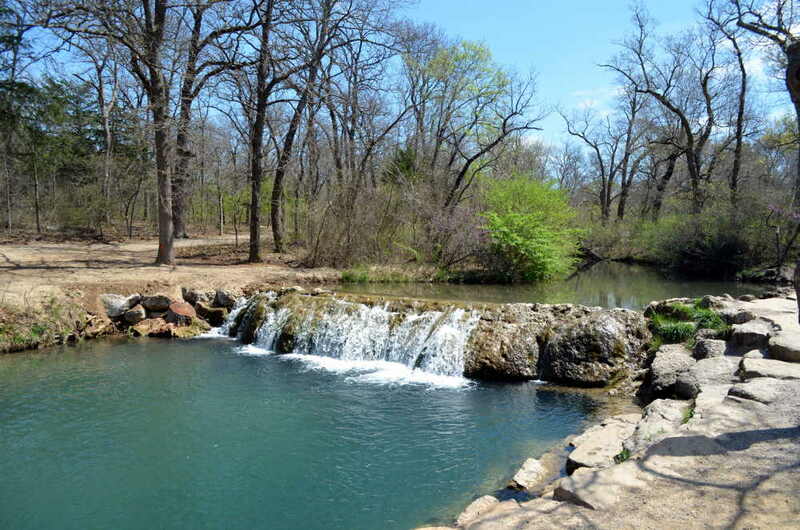 It was the Chickasaw Nation who originally ceded the land to the government in 1902 and who has remained an important part of the preservation of the original springs and creeks. The total capacity of the lake is 108,839-acre feet with a surface area of 2,350 acres. It provides water for the cities of Ardmore, Sulphur, Davis, Wynnewood and a large oil refinery near Wynnewood. It also provides flood control, fish and wildlife habitats and recreational activities. General Matthew Arbuckle was active in the Indian Territory for 30 years, primarily in Arkansas, but his troops established an outpost on Wildhorse Creek in what is now Garvin County, Oklahoma, and named it for him. The post closed in 1870, but by that time, the Arbuckle name had spread throughout the surrounding area, most notably to the Arbuckle Mountains, and then almost 100 years later, his name was again memorialized when the dam and lake were named for the mountains. According to folklore, the early settlers called this area “The Peaceful Valley of Rippling Waters.” It’s easy to imagine them setting up camp to rest and refresh themselves in the mineral springs, foraging for berries, fruits and nuts and bringing dinner home from among the abundant wildlife. The Chickasaw National Recreation Area is an Eden that abounds with flora and fauna that combines an eastern deciduous forest with a western prairie. Trees include oak, hickory, eastern red cedar, elm and sycamore. The prairie lands are responsible for the mixed grasses and wildflowers, such as sideoats gama, little bluestem, Indian blanket, yucca, and coneflowers. 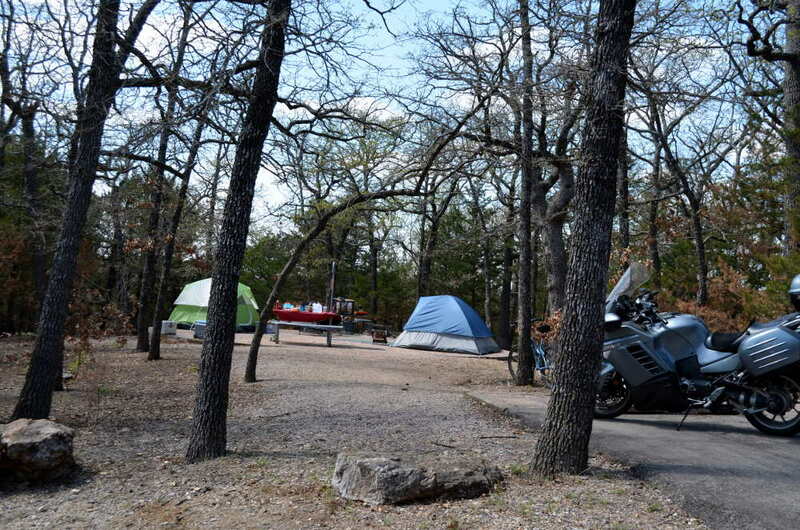 Folks with myriad interests flock to the area to enjoy the natural wonders contained within its 3,400 acres and the many recreational opportunities, such as the great variety of trails, abundant wildlife and welcoming campgrounds. More than 30 miles of trails pass through the legendary natural beauty of this diverse ecosystem with breathtaking views. The trails vary in length, difficulty and terrain. Walking shoes are sufficient on most trails, but hiking shoes are suitable for all trails. Stroll, hike, bike, ride a horse. Watch birds and other wildlife, watch bison grazing in a pasture, study the wildflowers, marvel at the views from the trails that skirt the banks of the lake. Buckhorn Area Trail, 0.9 mile: Starts at the first picnic area and follows along the lake. Look for the spots where armadillos have dug up the ground searching for insects and worms. You might see red foxes playing “tag,” wild turkeys relaxing on a quiet afternoon or black vultures soaring overhead. Watch the water closely at the lake’s edge and see water bugs, turtles and minnows going about their daily lives. Fishing Rock Trail, 0.8 mile: Follows along the shore line then passes through a hardwood forest to an open prairie where the bison roam. There are several places where you can access the shoreline and get some fishing in along the way. Lakeview Trail, 0.5 mile: Ends at a small pebbled beach with a panoramic view: to the west, The Point picnic and swimming areas; to the southwest, the Arbuckle Dam; to the southeast, the Buckhorn arm of the lake. In the late fall and winter, your patience will be rewarded with an extravaganza of bald eagles. The Recreation Area provides habitat for quail, turkey, squirrel, rabbit, dove, ducks, geese, deer, red fox, bobcat and opossum. Look up into the trees and you might catch a glimpse of flying squirrels. Think of it as nature’s Cirque du Soleil! Near the boundary between forest and prairie, you might be lucky enough to see a bull snake, the nine-banded armadillo or an eastern meadowlark. Because hardwood forests meet grasslands, north overlaps south, and with the central flyways nearby, there are more birds, and more types of birds, than are found in much larger areas. Hunting is allowed in specified park zones as scheduled as long as you have the proper permits and licenses. Hunting licenses are available at the Chickasaw Visitor Center. Please note: Trapping is never allowed. Deer Archery, Youth Deer Gun, Deer Muzzleloader, Dove, Rail, Gallinule, Crow, Waterfowl, Turkey Fall Archery, Pursuit with Hounds, Predator/Furbearer Calling: Same as statewide season dates. Deer Gun: Same as statewide season dates. Quail, Snipe, Woodcock, Rabbit, Squirrel: Same as statewide season dates, except closed during the first nine days of deer gun season. Turkey Fall Gun: Same as statewide season dates, limit one tom turkey. Turkey Spring, Youth Turkey Spring: Same as statewide season dates, limit one tom turkey.